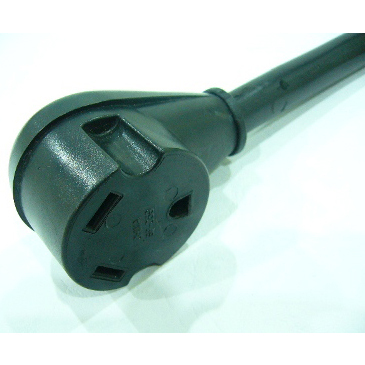 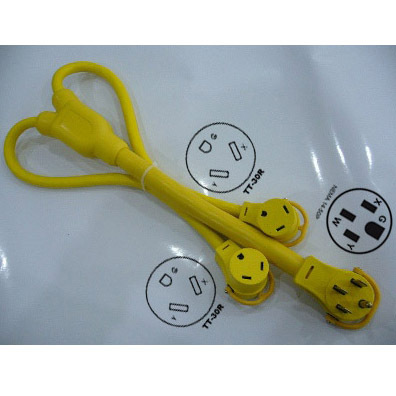 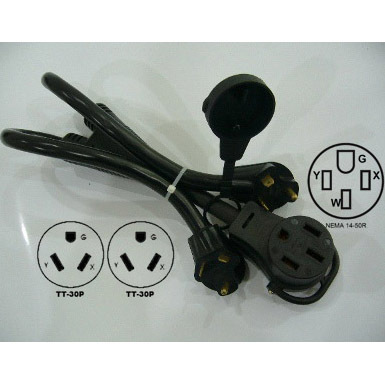 30A RV Line Generator adapter-Rongkuang Electric Co., Ltd.
RV Camp Power Pigtail Adapter Cord, NEMA TT-30P to NEMA L5-30R. 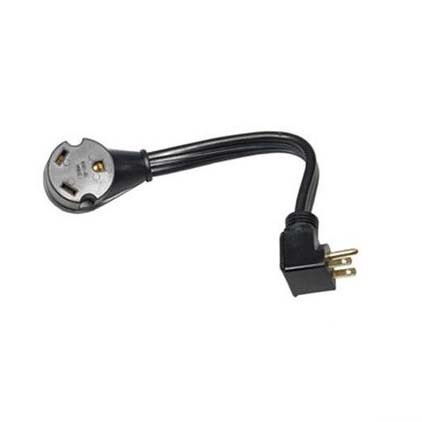 Lets you use the 30 amp, 115 volt output on your generator. 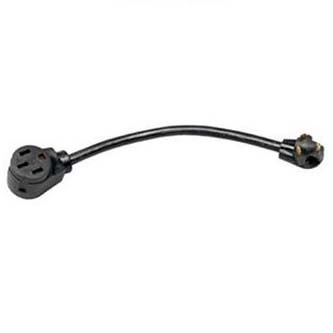 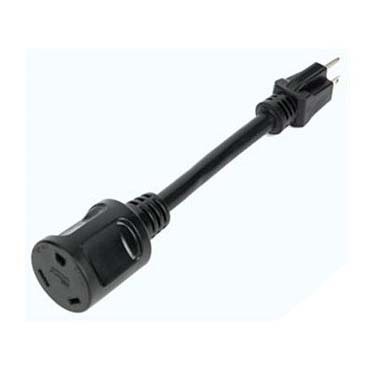 Adapter will supply power to a 30 amp RV female pigtail from a 30 amp twist lock generator receptacle. 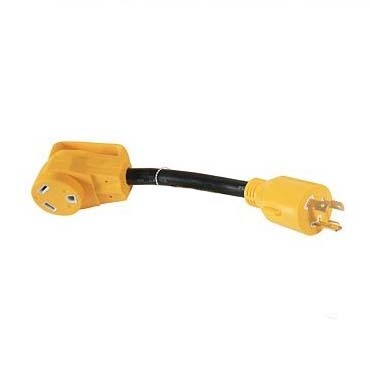 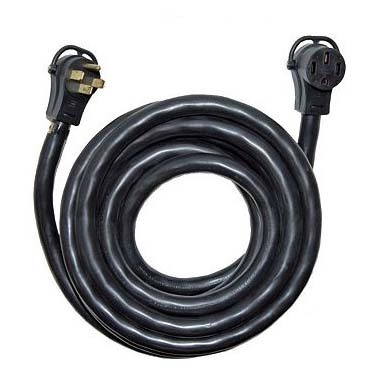 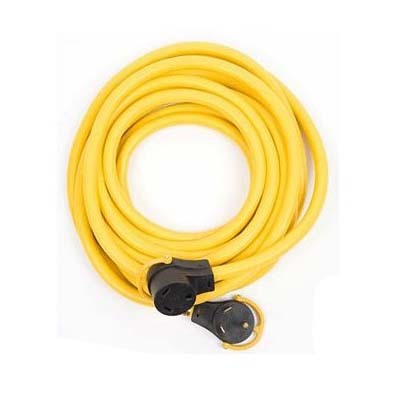 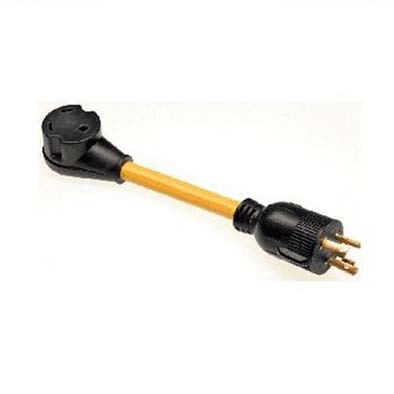 Connect your 30 amp RV extension power cord to this adapter, which connects to your generator. 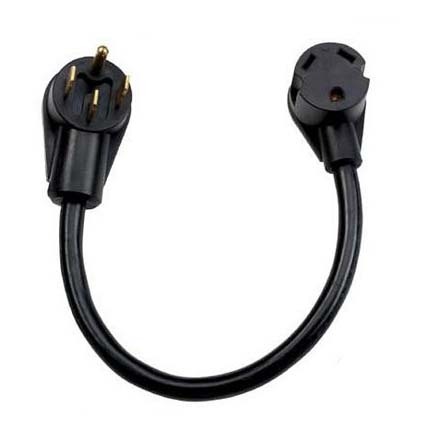 Approved for use in Canada as well as USA. 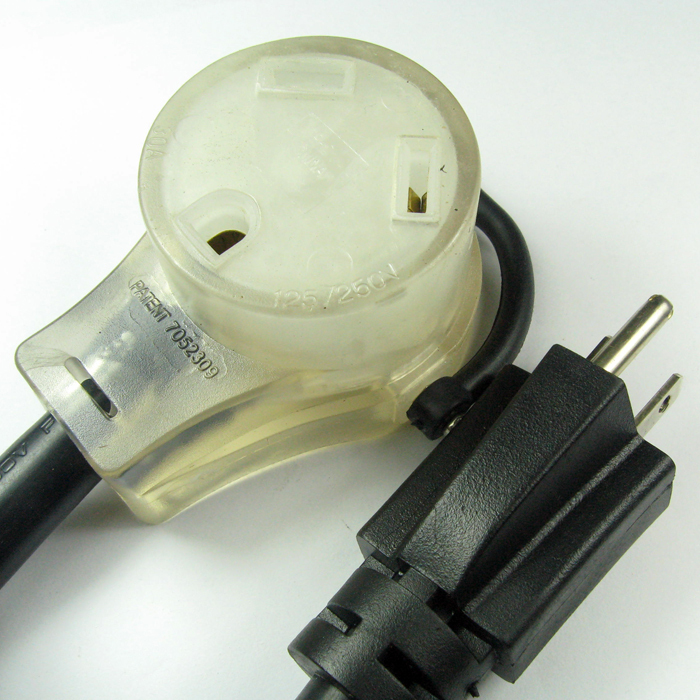 UL cUL Pending, RoHS Listed. 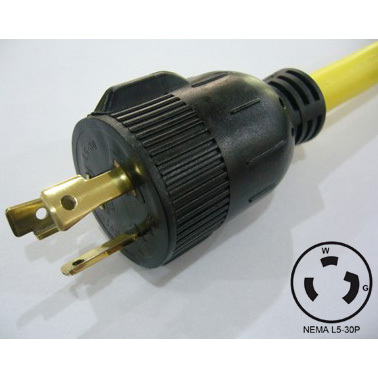 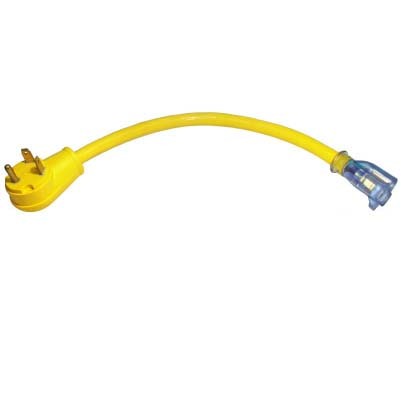 Description/Special Features NEMA L5-30P to NEMA TT-30R, 2 Pole, 3 Wire Grounding, 30A Twist Lock male plug to 30A Straight Blade female Connector.